Fashionably functional, Molami was born from the mind of industrial designer Maria von Euler during study breaks while attending design school in Stockholm, Sweden. 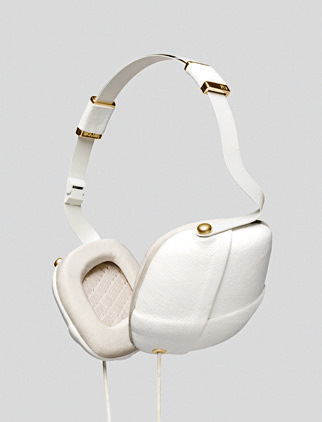 The result is a collection of lust-worthy headphones and earbuds that fuse technology with tailored contemporary design. Colours are sleek—speckled black-and-gold, creamy white-and-gold—and incorporate fine materials like napa leather, stingray, and satin; every detail is considered. In some styles, braided, textile-wrapped cords encapsulate wires; silver-plated accents add shine; and earbuds are reminiscent of tiny, folded origami stars. Unsurprisingly, Molami is stocked at only the ne plus ultra of boutiques, such as Colette in Paris, Fivestory in New York, and Roden Gray and Secret Location in Vancouver.